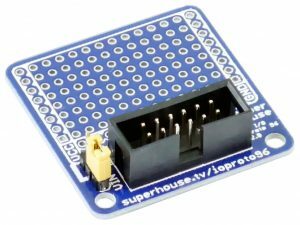 Arduino shields are an easy way to quickly test a project or prototype, but they have a big problem. Shields stack up vertically, which isn’t very useful if you want to mount your project inside a box or case, or to make a control panel. While working on projects for SuperHouse, I often found that I wanted to mount different parts of the project inside a case so that they could be accessed from the outside. 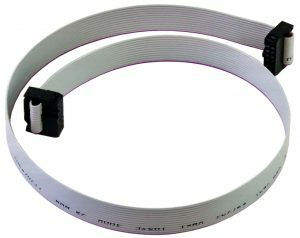 To do that I started using IDC (Insulation Displacement Connector) headers and cables, so that I could link parts together inside the case. I designed shields for both the regular (Uno-style) and mega Arduino sizes, so that I could simply plug in a shield, plug in an IDC cable, and be ready to go. Over time I’ll probably design more modules using the same I/O breakout headers. I’ve found they’re a great way to quickly assemble a project in the shape that I want it, without being limited by the vertical stack of normal shields. Hi I have all of my lights and sockets connected back to two metal cabinets containing 20AMP SSR relays mounted on din rails. I’ve also got some 12V din rail transformers to switch the relays. 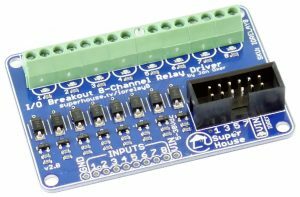 Can the VIN on the relay breakout boards take 12V to switch the relays (I think the relays can take between 3 and 33 volts to switch and probably sink around 30ma. I was hoping to have maybe one or two arduinos per cabinet, with one containing about 34 relays and the other 20 relays. 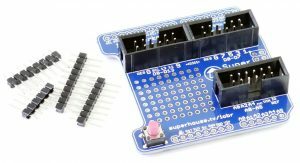 How many of these boards could be powered in this way from one arduino? Also is there any way to manage state change if the arduino restarts. I.e. not turn everything on or off at start up? I use Homie in my arduinos for MQTT and house lights. There’s an option to recovery last state after power failure. Can you please tell me what kind of din rail relays are you using because i’m looking to do the same. I like your boards, it’s a great idea! 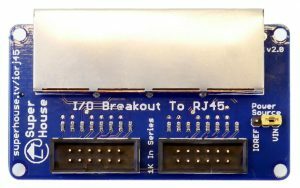 Do you have distributor(s) in Europe for the I/O Breakout Shield? (I didn’t find it on Roboshop). I would love to have it available in europe also. Are you working on your Breakout for the wallswitches? 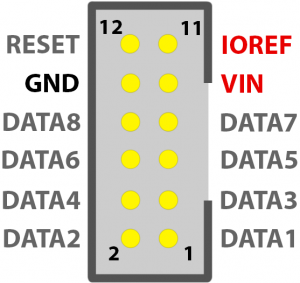 That one with only one rj45 Breakout? The socket is a generic part, it could be described as a “0.1 inch pitch 12-way shrouded IDC socket”. I’ve also seen them referred to as a “shrouded box header”. They’re made by so many places that I don’t think there’s a standard part number for them. 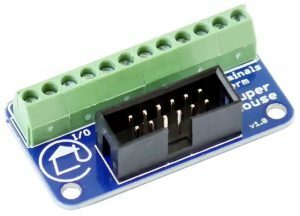 i have connected the arduino to 12volt adapter and the vin gives 12volt but when i connect it the 8 channel relay driver in order to control a 12volt din rail relay coil i measure with a polymeter that i get 5volts at the -+ . Can you tell me what am i doing wrong?